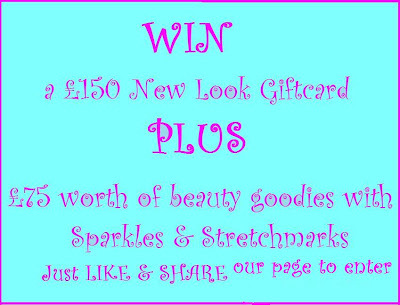 Giveaway: £150 New Look Giftcard PLUS £75 worth of beauty goodies! To celebrate the upcoming arrival of Baby Sparkle, I am holding my biggest ever Giveaway competition! 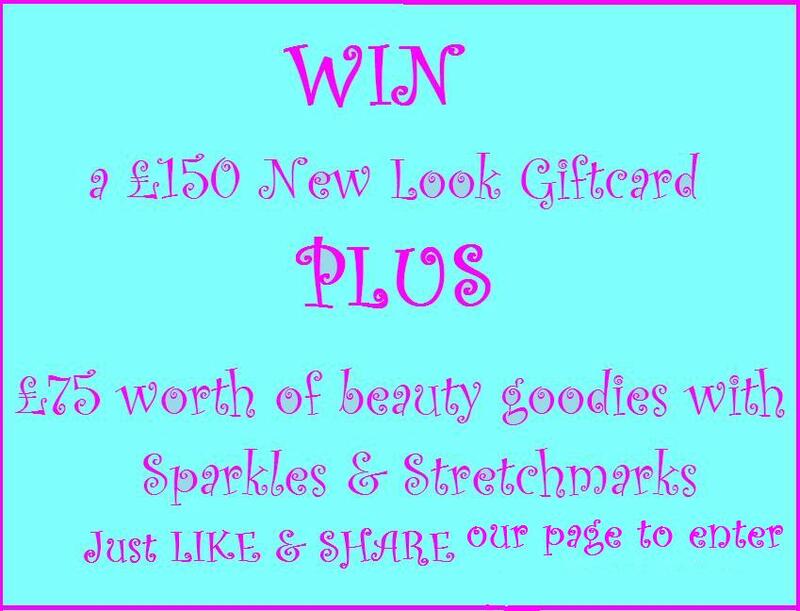 A £150 New Look Giftcard!!!!! You can also earn ADDITIONAL chances to win by completing the Rafflcopter form below! *What will Baby Sparkle weigh? The closest combined guess will win the mystery prize! GOOD LUCK AND TELL YOUR FRIENDS!!!! *What name will we give to Baby Sparkle? *What time on 26th March will Baby Sparkle be born? This is such a cute and fun giveaway. Fab pries!! good luck with your baby ! What name will we give to Baby Sparkle? Name: I love the name Noah, so I'll go for that. Good luck with the rest of your pregnancy, enjoy it! Aww thank you! :) Congratulations on the birth of Tyler Lee - lovely name!! Thank you and Good Luck !!!! So excited for you to meet him! Fantastic giveaway, would love to win it..
What will Baby Sparkle weigh? What time on 26th March will Baby Sparkle be born?